Society expects men to take charge, get things done and keep their emotions in check. But what happens when their best friend dies and they're not allowed to grieve? 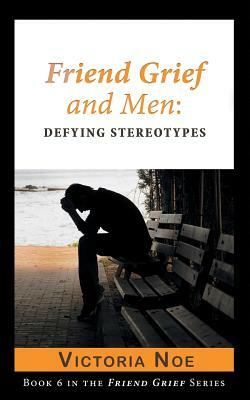 In Friend Grief and Men: Defying Stereotypes you'll meet men whose friendships shaped their lives. Some lost a best friend. Some lost dozens of friends. Their stories of grieving and healing will change your perception of what it means to 'be a man'. A former actor turned rabbi reflecting on the importance of his friends. A professional hockey player whose friend's suicide prompted him to start an organization to support former hockey players in need. Long-time survivors in the AIDS community, whose needs are very similar to those of military veterans. A sportswriter whose best friend was the first person close to him to die.